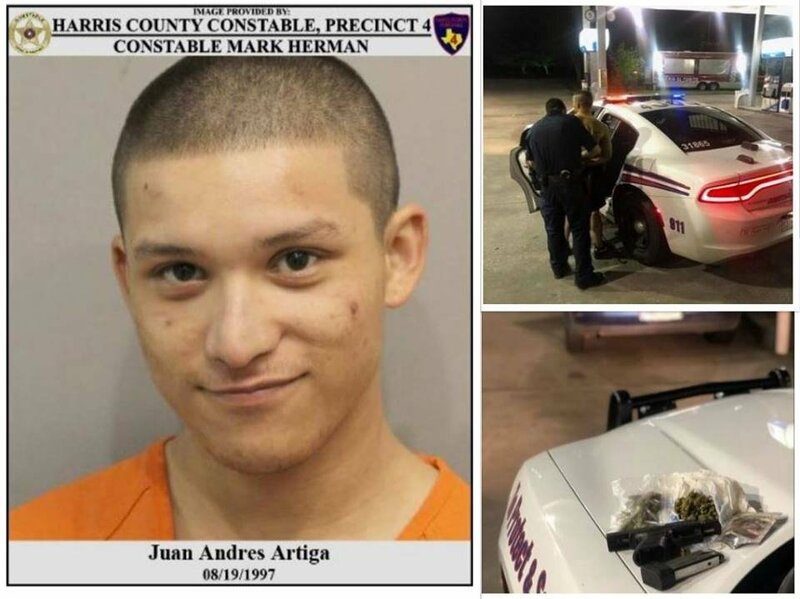 According to reports from PCT 4, on April 8, 2019, a deputy with Constable Mark Herman's Office conducted a traffic stop on a vehicle in the 19600 block of Atascocita Shores Drive. During the course of the traffic stop, deputies detected an odor of marijuana emitting from inside the vehicle. The driver was identified as Juan Artiga, a convicted felon who was found to be unlawfully in possession of a firearm. Glad he was caught great job officers. That was the first thing I noticed as well. I can tell you from doing multiple blotters a week that the "happy I'm arrested" or "IDGAF" looks are fairly common. Is this the Atascocita gangsta's brother?